Police are offering a £20,000 reward to anyone who can aid them in tracking down two men who attacked a man leading to his death. 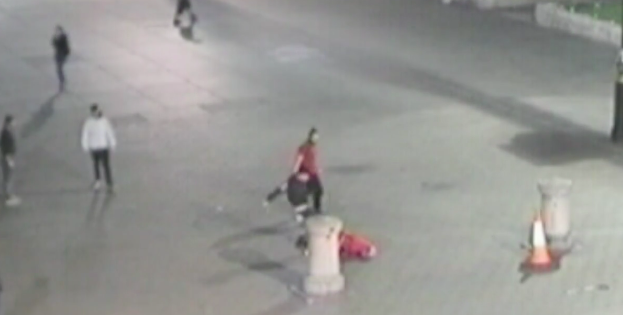 On their website detectives from the homicide and major crime departments of the Metropolitan police are appealing for witnesses to an assault in Trafalgar Square which happened on Saturday June 3 2017. 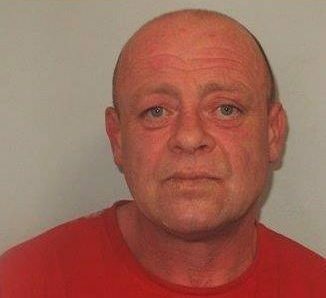 51-year-old victim Desmond O’Beirne was filmed on CCTV at 12.25am running away from his attackers near the National Gallery before they floored him with a single punch. Rushed to hospital, O’Beirne never regained consciousness dying from his injuries on Wednesday December 20 last year, six months after the attack. The post-mortem examination revealed the cause of death was a head injury prompting the launch of a murder investigation. Now police are renewing their appeal to find the attackers, offering the reward to anyone ‘providing vital information that leads to the arrest and conviction of the people responsible for the murder’. The first suspect, who punched the victim, had a top knot and full beard wearing a red t-shirt, dark trousers and light coloured shoes. His accomplice, who kicked O’Beirne while he lay unconscious, was wearing a black jacket with a white motif on the right shoulder, dark trousers and a white top. Someone might see this video and remember that they witnessed this incident; you will see a female who is clearly shocked by what has happened and holds her hands up to her face. You may have been part of the group and did not realise how seriously Desmond was hurt and that he has now died. That may pray on your mind. You can contact us and help us get justice. Desmond was an inoffensive man, a big man and character, who was out having a drink. 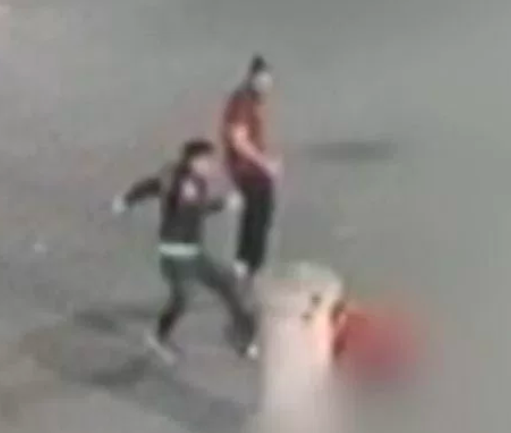 The CCTV shows that he was senselessly attacked and he never stood a chance. The events of Desmond’s attack precede the London Bridge terrorist attacks which were in the following evening. So whilst there is a passage of time, people will remember where they were in London, and could remember this incident. I’m asking anyone who took any footage or selfies around that time in to contact us; take a look through your photos and see if you have something that can help us. My brother Desmond was hard working and larger than life. He was on a night out in Trafalgar Square when he was brutally and viciously attacked by two cowards who then calmly walked away and left him for dead. As a direct result of this attack he suffered a traumatic brain injury and was left in a vegetative state. Desmond’s life was ended far too soon and our family is left devastated by his loss. Unfortunately for Desmond, his attack happened less than 24 hours before the London Bridge/Borough Market terrorist attacks and I feel that possible witnesses may have focused their attentions on those events. I am trying to get justice for Desmond, his two attackers were very distinctive and part of a larger group. I hope that witnesses and those from that group who did not know how serious the attack was will now come forward. Anyone with information is asked to contact the incident room on 020 8785 8099. To give information anonymously call Crimestoppers on 0800 555 111 or visit crimestoppers-uk.org. You can also tweet information via the Met Contact Centre on Twitter.